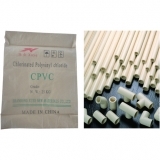 China CPVC Compound Suppliers, China CPVC Compound Manufacturers. Shandong Xuye New Materials Co.,Ltd. Packing: It is packed with polypropylene woven bag or composite paper bag. Our company’s CPVC resin can be used in the production of extrusion product and injection molding product, especially the production of CPVC tubing and pipe fitting.